I don’t mind online installers. They’re convenient but if your installing a multi-gigabyte application, you don’t want to reinstall it this way. 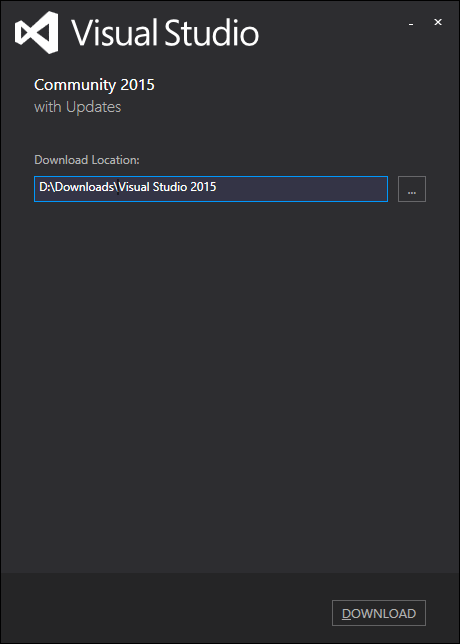 Visual Studio 2015 is one of those apps. There used to be an option on the Microsoft site to download a VS ISO, but it seems to be unavailable now. You can still download the installation files (not the ISO) by running the online installer with a command line option. You will then be prompted for a download path, then the long download will proceed. This will download the core features of Visual Studio and you’ll still need to go online to download all of the features you might need.